The music education community is swirling with talk about how best to prepare university-level students for modern-day careers. And for good reasons. The music business is undergoing economic and technological upheaval, and many musicians and colleges are struggling to adapt. Actually, some musicians appear to be thriving – those with entrepreneurial mindsets. Entrepreneurial musicians find multiple outlets for their talents. For them, loving music and making a living from music are one thing. 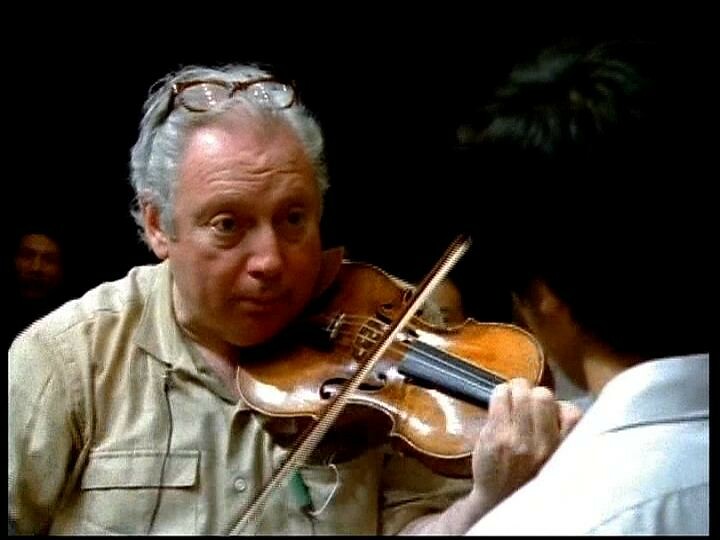 Like Isaac Stern, they adopt ways of life that bring both fulfillment and income. For example, a professional saxophonist I know combines teaching, performing, and recording with a penchant for technology; among other things, he’s developing music education apps for the iPhone. Similarly, a Juilliard-trained violinist felt the tug of rock music and then built a career as a rock violinist while also presenting hundreds of school workshops and launching a successful line of electric violins. In sum, entrepreneurial musicians don’t wait for job openings to appear. They make opportunities by forming broad artistic visions, expanding their skills, and generating demand for their work. Some are self-employed and carve out distinct niches for themselves. Others hold traditional sorts of posts in orchestras, bands, universities, or schools, yet they extend their horizons beyond the conventional. From an educational standpoint, then, how can music colleges equip students to be high-level performers – with all of the intense practice and study that musical excellence requires – while also arming them with the entrepreneurial tools they need to succeed in the new economy in which traditional music jobs are scarce? Although each school needs to answer that question for itself, taking into account its particular mission and resources, here are a few things that I believe undergraduate music programs would do well to consider. 1. A required one-semester freshman seminar that enables students to be introduced to arts cultures and economies, draft preliminary artistic & career plans, establish e-portfolios, and learn about basic practice, performance, and collaborative skills during their first semester. 2. Workshops, summer courses, and private consultations that allow students to develop their career plans, study case examples of music entrepreneurship, build up technology skills, assemble content for their websites, take on supervised projects, and access internships. Such educational offerings could be coordinated through an on-campus entrepreneurship center. 3. A required upper-level career development/entrepreneurship course. Students would, among other things, refine their short and long-term objectives, gain insight into the music industry, amass literacy with business concepts, craft professional materials, and sharpen their networking, grant-writing, and technology chops. 4. Student career-development grants. Students would submit proposals that could fund experimental productions, pay for conference/festival/competition attendance, support touring and community engagement projects, and help defray the costs of photography, recording sessions, mechanical licenses, website upgrades, and the like. 5. A greater emphasis on creative thinking across the curriculum. Given that entrepreneurship grows from creativity, one of our primary educational missions should be to encourage creativity. For instance, we can incorporate composition exercises into music theory classes rather than focusing solely on analysis; we can sponsor competitions in which students submit proposals for ensemble concert programs and a winning proposal receives an award or is even performed; students in entrepreneurship courses could present competing business plans with the winners earning prizes. 6. Added cooperation among faculty and administrators to allow room in curricula for students to ripen their entrepreneurial plans. All too often, music students are so overburdened – say, by being obliged to perform in several ensembles each semester – that they’re unable to pursue goals of individual interest. In effect, some students wind up serving the institutions where they study instead of the educational institutions serving the students’ needs. As a result, many students learn more about conformity than independent thinking. Let’s ensure that the college experience prepares students to flourish as self-directed musicians after they earn their degrees. I believe, however, that we must think expansively to transform applied music education at all levels. Related posts can be found under the Entrepreneurship category. Loved this post! Anytime I see the word entrepreneur near the word music it’s a positive. In fact, we’ve been using that word in our niche music education for over 20 years. We’ve written extensively about the need to address the ‘other 80%’ and believe it will be accomplished privately, outside of academia. Over 20 years ago we opened the Dallas School of Music to work with learners of all ages and skill levels in our community. During that time we’ve also developed http://www.dlpmusicprogram.com that allows us to reach music enthusiasts and casual learners all over the world. And we’ve recently begun an outreach program that makes dlp courses available to children and families in need. Our Kore Course has been adopted by the Washington state school board and will be made available to all students as a supplement to their school music program this spring. It was chosen in part because it includes learning material and resources for non-traditional instruments like electric bass, guitar, keyboards, etc. as well as voice, band, and orchestral instruments. We always believed there is a strong ‘market’ for casual music makers who do not fall into the K-12 demographic, and frankly, feel that our profession has fallen woefully short in providing quality material or opportunities for these folks. In my own case, I wish business and entrepreneur classes were part of my music education degree, alas it was trial by fire for me! Perhaps these classes will be offered at least tangentially for performers and educators in the near future? The idea is certtainly worthy of exploration. Cheers from Dallas. Thanks, Massimo! I appreciate your support and sense of humor. Please keep us informed about your course. If you’ve posted a syllabus or any course materials online, I invite you to place a link here so that all of us can learn from you. I’m a lecturer at the Music Dep. of the University of Malta (Europe) and I totally agree. In fact this year I just started a 2-semester course called “Performance Skills and Perspectives” for 3rd year students, dealing precisely on these aspects. Thank you, Bill, for the supportive words. I heartily concur that ongoing curriculum updates are needed in diverse school levels and subjects. As Ken Robinson points out in his popular TED talk, our school systems were created according to an industrial-age model and haven’t kept pace with change. Your comments and insight are right on. Several programs you are encouraging are the roots of our mission at Pennsylvania Museum of Music and Broadcast History. Education must keep pace with the technology, several industries have changed so much, i.e. my field in Broadcasting, would require two more years of study for be to re enter that job market. Well said, Roberto. As I see it, music schools should guide students to develop comprehensive artistic/professional skills from the outset of study rather considering career preparation to be a culminating activity. Then, the school environment will actually equip young musicians to succeed in today’s ever-changing world. Thanks, Cary. Your proposal that we integrate entrepreneurship concepts into secondary education strikes me as insightful and timely. Great ideas! 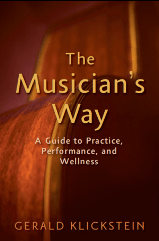 And these ideas are not just applicable to college coursework, but throughout the career of a professional musician. In fact, I would like to see the idea of entrepreneurship take a central role in secondary music education as well. The thought that a young person can take charge of their own life is centuries old but somehow still revolutionary, and to stress to the community how music programs help inculcate this ideal in young people should be a major pillar of the advocacy platform for our profession.